There are many things that will make you feel like you have your life together. For some people, it’s owning the perfectly organized to-do list, meal planning for the busy week ahead, or color-coordinating your closet. Whichever thing speaks the most to you, we have to debate that nothing’s more useful and versatile than a perfect tote bag. But not just any tote will make do. We’re talking about one that’s waterproof as well. Luckily, with the current PVC trend that’s going around, finding a waterproof tote bag that’s stylish and practical is quite easy. So discard the images in your mind of frumpy and outdated totes and think cute prints, bold colors, and trendy silhouettes that you’ll want to wear even when it’s not raining. See the 15 best on the market ahead. Opt for a fun ’70s-inspired print. 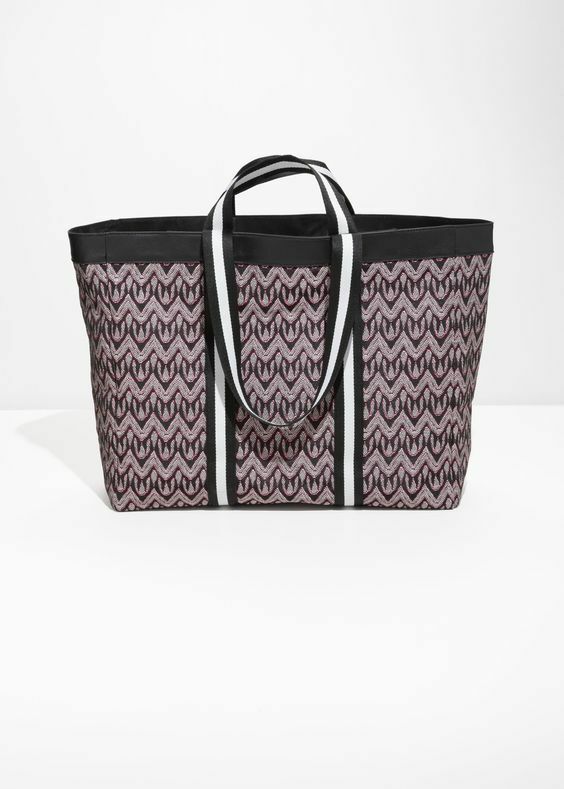 A practical carryall with a pop of color. Clear bags are now office-ready too, no matter the weather. Bonus: Keep your farmers market produce dry too. The right size for all your essentials. Perfect for your impromptu weekend escapes outside city limits. Can’t go wrong with a black tote. We’re loving the throwback vibes of this tote bag. We can’t get enough of anything tortoise. Ideal for those random city showers. Waterproof and windproof. Need we say more?